Just about as far northeast in Tennessee as you can get, you’ll find a county that is half Cherokee National Forest and half Watauga Lake. Nestled within those hills, lies Mountain City (appropriately named), and each year a celebration takes place honoring the iconic Old Time mountain music style that shaped country music as we know it. The four-day Long Journey Home Tour and Festival spans over Labor Day weekend, August 30 through September 2nd, with the theme “Black Smoke a Risin’, and it Surely is a Train.” The fun begins on Thursday with a dinner and dance including the Long Journey Home House Band complete with an old fashioned cake walk. On Friday evening, Buskin’ on Main Street brings the small town to life with music, friends, and plenty of good eating. 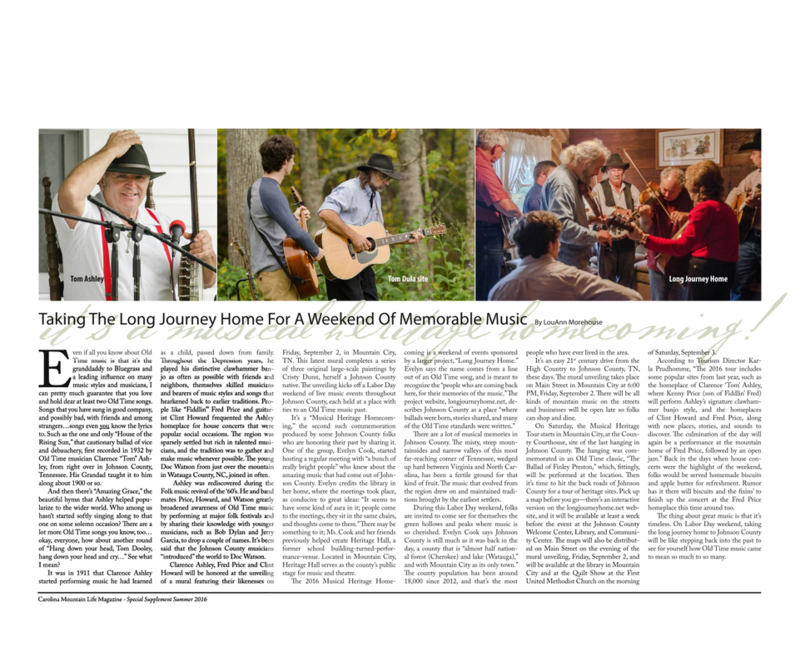 On Saturday, September 1st, the Musical Heritage Homecoming Tour begins at Maymead, the site of one of the old Mountain City train depots with the music of GB Grayson, whose short career produced The Ballad of Tom Dooley, Train 45, Handsome Molly, and about 40 other songs that became the standards of Bluegrass and early country music. Guests are encouraged to bring a quilt or lawn chair and be ready to take a trip back in time and follow the tour to five sites throughout the county, with the opportunity to hear murder ballads on the creekbank to commemorate the capture of Tom Dooley, and experience the signature clawhammer banjo style of Clarence “Tom” Ashley played on the front porch of his homeplace. The highlight of the 2018 Long Journey Home tour is the unveiling of the new mural, “It Surely is a Train…”, painted by Temple Reece in honor of blind fiddler, G.B. Grayson. This new mural is the fifth in a series that depict Johnson County’s icons of early country music. Saturday’s tour concludes, as always, at the Fred Price Homeplace, nestled in the Appalachian Mountains. The Piney Woods Boys will perform selections from the album, Old Time Music at Clarence Ashley’s, now on the National Recording Registry, followed by an open community jam. 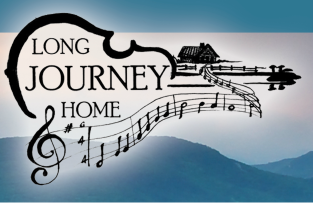 Long Journey Home closes with a traditional gospel Sunday Singin’ at historic Heritage Hall in downtown Mountain City on Sunday at 2pm. For more information, please contact Cristy Dunn at 423-957-6346 or Evelyn Cook at 423-727-8700 cdunnoriginals@hotmail.com or visit www.longjourneyhome.net. Fred Price, Clarence "Tom" Ashley, Clint Howard, and Doc Watson perform during the Folk Revival of the 1060s. 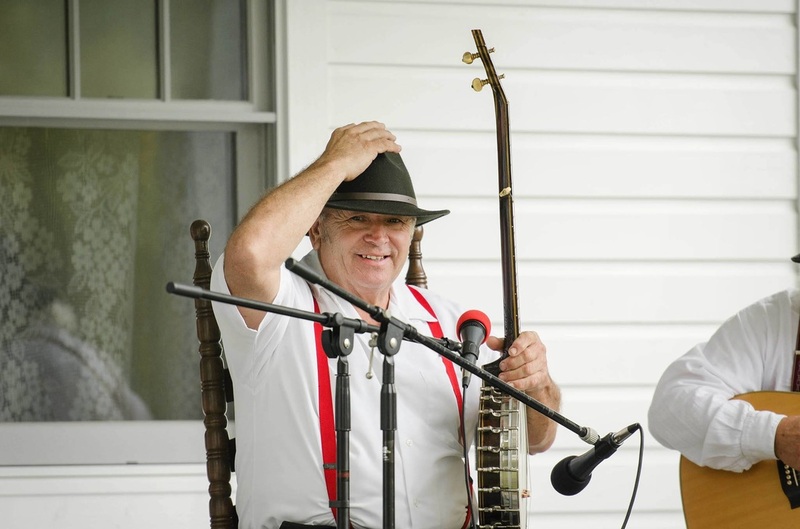 Kenny Price performs clawhammer banjo on the front porch of the Clarence "Tom" Ashley Homeplace as part of the Musical Heritage Tour. Kenny learned directly from Clarence Ashley and was featured on The Ballad of Finley Preston, alongside Fred Price and Clint and Clarence Howard.